Details: He is a co-founder of MCAF. 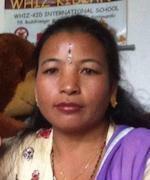 He is a very knowledgeable trekking leader to Nepal, India, Bhutan and Tibet. He has been working in this field since 2000 and a good Thangka artist as well. 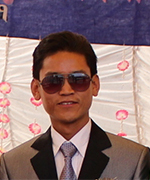 He is the owner and Managing Director at Lhasso Adventure Pvt. Ltd. Details: He is a co-founder of MCAF. 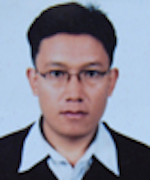 He is a young dynamic leader, tour guide, project manager and professional Buddhist traditional (Art and Craft) artist. He has a decade experience in these fields. 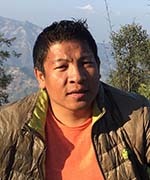 He is the owner and Director at Lhasso Adventure Pvt. Ltd. 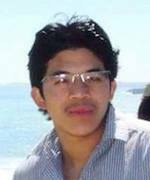 Details: He has been actively involved in MCAF from the beginning as a Secretary. 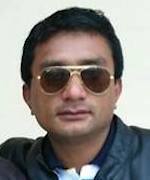 Professionally he is a Managing Director at Malla Treks Pvt Ltd. Details: She is a co-founder of MCAF. She has been actively holding the post of treasurer at MCAF from the beginning and also operates several programs for the welfare of women in the rural communities. Details: She is one of the founder member of MCAF. 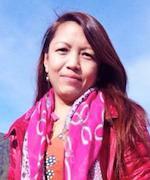 She is a professional Thangka Artist and working as a Thanka Art Instructor at MCAF Thangka Art Studio. Details: He is the coordinator for Public Relation in MCAF. He is professional Thangka Artist. He has been working in the field of art since 18 years. Details: He is the coordinator for Community Service Project and Resourse Management. Details: Currently studying Master of Commerce (Accounting) from University of Melbourne. Have previously involved in fund raising activities for an Organisation called Epilepsy foundation (NFP). Also worked as a Finance Assistant at another NFP ORGANISATION called Vision Australia (Blindness and low vision service Organisation).